The Supreme Court of India today delivered a verdict that is going to have a huge impact on administration of cricket in India. The 138-page judgment delivered by a two-judge Bench consisting of Justices TS Thakur and Fakkir Mohamed Ibrahim Kalifulla brings an end to the proceedings that were going on for the last 17 months in the highest court of the country. It also replaced the question mark regarding Mr. Srinivasan fighting the BCCI elections with a full stop. In addition, it is the BCCI that will be paying the fees to the three member Committee, which has been allowed to fix its own fees. 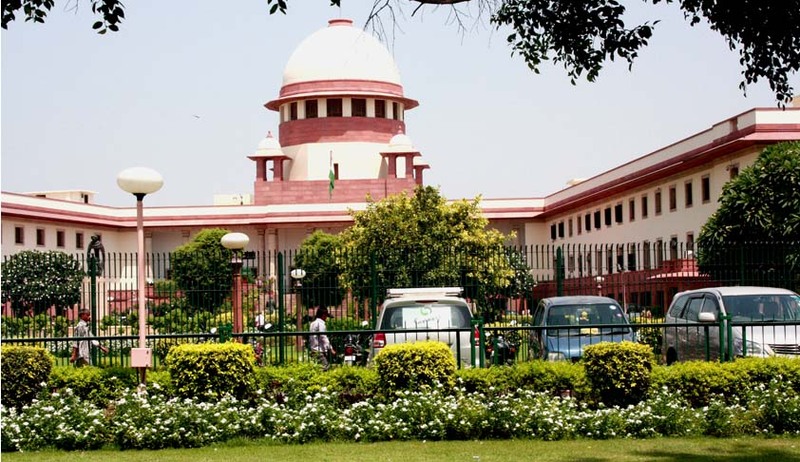 The Court also asked the Committee to deal with the matter expeditiously and if possible, finish it within six months.The Supreme Court in its judgment also praised the Probe Committee headed by Justice Mukul Mudgal. BCCI had then set up a three member panel, consisting of two former High Court judges and Mr. Sanjay Jagdale, who had later resigned but the panel continued to work on, as asked by BCCI. The Cricket Association of Bihar had then filed a petition before the Bombay High Court, asking it to declare “appointment of the two-member Probe Commission was ultra vires of the Rules and Regulations of the BCCI” and asked it to constitute a panel “comprising retired Judges to hold an enquiry against among others Mr. Gurunath Meiyappan for his involvement in betting and spot fixing.”It had also prayed, “For termination of the franchise agreement entered into between the BCCI, on the one hand, and Chennai Super Kings and Rajasthan Royals on the other” alongwith disciplinary proceedings against Mr. Srinivasan. Thereafter, the Cricket Association of Bihar filed an appeal in the Supreme Court, to the extent reliefs it had prayed for denied by the High Court. An appeal against the High Court order was also filed by the BCCI. The Court thereafter went on to form seven questions that were going to be adjudged by it. The questions included, “Whether the respondent-Board of Cricket Control of India is ‘State’ within the meaning of Article 12 and ifit is not, whether it is amenable to the writ jurisdiction of the High Court under Article 226 of the Constitution of India?” It also had to decide if Mr. Meyippan and Kundra were “team officials” and if the answer to the question came out be in affirmative, the Apex Court would have been required to answer naturally arising questions regarding punishment, which it did. In addition, regarding the role of Mr. Meyiappan in Chennai Super Kings, Senior Advocate SiddharthLuthra “claimed the right to remainsilent as his client was being prosecuted in a Court at Mumbai for betting.” However, the Court went on to say, “we find that the Probe Committee has correctly appreciated the facts as emerging from the documents and the depositions of witnesses recorded by it and rightly come to the conclusion that Gurunath Meiyappan was a team official of CSK.” Indeed, it did make it clear that its observations were for this proceeding only and were not to affect the case pending against Mr. Meyiappan in Mumbai. Regarding the aspect of principle of natural justice, the Court observed that every person who was questioned by the Mudgal Committee was given a full and fair opportunity to put forward his case. The Court also asked the proposed Committee, to examine and make suitable recommendations regarding various aspects relating to functioning of BCCI, including amendments to its Memorandum of Association. However, it is not the end of the matter as the newly proposed Committee will take over and decide on various aspects, as mandated by the Supreme Court of India. Meanwhile, Mr. N. Srinivasan, who is now eligible to contest the BCCI elections, is the chairperson of International Cricket Council. You may read more of Live Law’s extensive coverage of the case here.